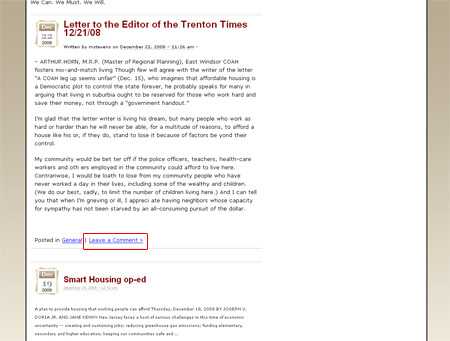 The purpose of our Housing Blog is to make information about Workhouse / Affordable Housing across Mercer County available to everyone. The Mercer Alliance to End Homelessness is committed to working with you and your municipalities to produce the affordable housing we need in all the towns of Mercer County. We envision a collaborative relationship with you and with your town. Through our blog, we hope to encourage a discussion and creative thinking in all 13 of our municipal communities. Please consider signing up and contributing to the discussion. 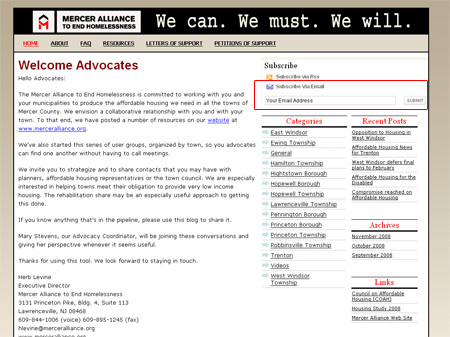 There are 2 easy ways to subscribe to the Mercer Alliance to End Homelessness Blog. You may choose to subscribe via a RSS feed and/or by e-mail. By subscribing to the Mercer Alliance to End Homelessness Blog you will be automatically informed by RSS feed or by e-mail, only when the Blog is updated. You will not receive any spam emails, only the new article that has been posted on the blog. This will prevent you from checking the blog randomly. We hope this helps our advocates maintain a continual connection with the blog and the information it delivers. The term "RSS" (Really Simple Syndication) is a family of Web feed formats used to publish frequently updated works—such as blog entries, news headlines, audio, and video in a standardized format. An RSS document (which is called a "feed", "web feed", or "channel") includes full or summarized text, plus metadata such as publishing dates and authorship. Web feeds benefit publishers by letting them syndicate content automatically. They benefit readers who want to subscribe to timely updates from favored websites or to aggregate feeds from many sites into one place. RSS feeds can be read using software called an "RSS reader", "feed reader", or "aggregator", which can be web-based or desktop-based. If you do not already have an RSS reader, we recommend using	Google's reader. You can sign up for a free account at http://reader.google.com. 2. Click on the Subscribe via RSS link. 3. Choose your favorite reader from the icons displayed or the drop down list. 5. That’s it! You’re finished! 2. Enter your e-mail address in the box and click submit. 4. 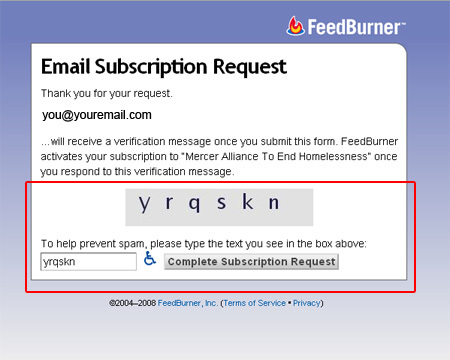 Please check your inbox for a verification message from FeedBurner’s “confirmations@emailenfuego.com,” the service address that delivers email subscriptions for Mercer Alliance To End Homelessness. You will need to click the link listed in this message to activate your subscription. 5. 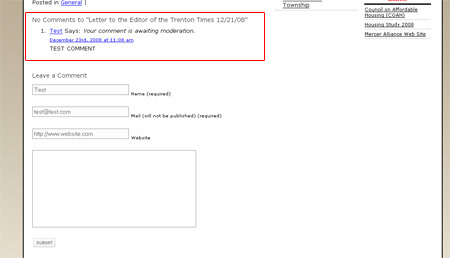 You will see an “Email Subscription Confirmed”. That’s it! You’re done!! 2. 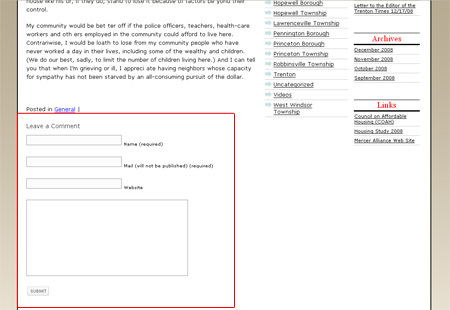 Fill in your name and e-mail address and website (optional), then type your comment in the space provided and click submit. 3. You will see your comment along with, “Your comment is awaiting moderation”. Once the Mercer Alliance approves your comment it will be posted to the blog.